Perhaps known as the "other" Gregson-Williams, Rupert lends a significant hand to the tragic HOTEL RWANDA. The soundtrack as released by COMMOTION RECORDS is dominated by traditional and contemporary African pieces - which were used very well within the context of the film itself. The blend works well both on-screen but rarely does a compilation soundtrack work as well as HOTEL RWANDA does as a stand-alone music experience. Undoubtedly, RUPERT GREGSON-WILLIAMS' contribution was greater than the two tracks contained on the compact disc, yet the two selections chosen flow well within the context of this release. Both Interhamwe Attack (track 4) and Ambush (track 10) end-up as grungily aggressive action pieces which work within the scenes they accompany. The real African flavor is provided elsewhere by, among others, the Afro Celt Sound System, Dorothee & Ben Munyaneza, and Isonga. Other noteworthy tracks are Deborah Cox's Nobody Cares (track 05) which is a contemporary, R&B, ballad and two pieces written by Andrea Guerra: Finale (track 9) and Children Found (track 14). 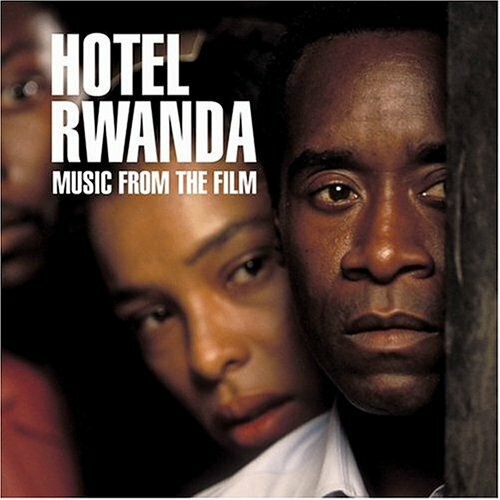 For fans of film music representing the land of Africa, HOTEL RWANDA is a worth consideration. While it is no THE POWER OF ONE (Zimmer) or ENDURANCE (Powell), it provides a much wider sample of the various styles of African music.